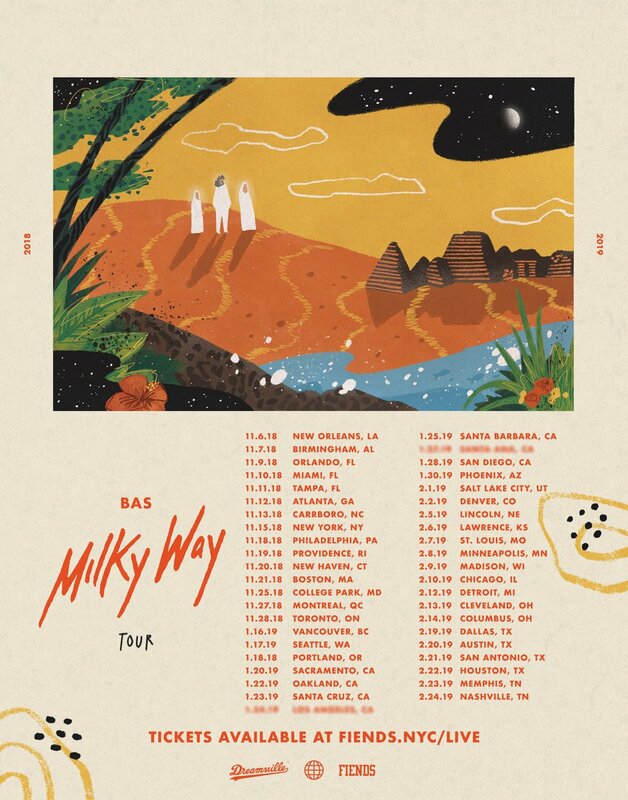 With J. Cole taking K.O.D across the world and the inaugural Dreamville Festival receiving a new date, Bas is keeping the flag waving with the announcement of his own headlining tour. Looking to bring his Milky Way album to the masses, the tour of the same name will kick off in New Orleans on November 6th. From there, stops will be made in Miami, Atlanta, Boston, Vancouver, Denver, Chciago, and more, before wrapping on February 24th in Nashville. Check out the 43 dates below. Tickets on sale this Friday.